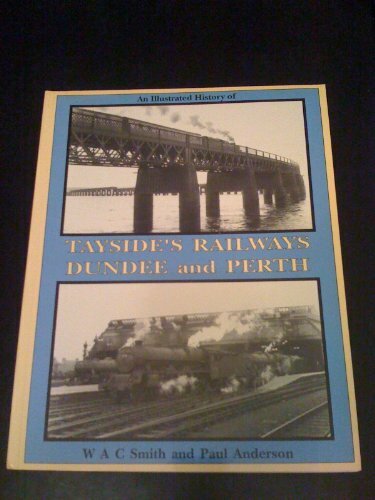 Opened on the Tay Bridge and Associated Lines (North British Railway). Open on the Edinburgh to Dundee. Open on the Perth to Dundee. The station features a communal piano, a memorial by Dave Patterson to his wife Jean, who worked at the station. The station was opened with the Tay Bridge [1st] by the North British Railway. To its north was the Caledonian Railway's competing Dundee West terminus which predated it. The newer station connected together the west and east sides of the city with a passenger carrying main line, before it opened the terminus stations at Dundee West and Dundee East were connected by a street railway only carrying goods. To the east of the station is Dock Street Tunnel which requires continuous pumping. The line emerges alongside the former Dundee East station at Camperdown Junction. The foreshore at Dundee was reclaimed in several stages, extending progressively south onto the former beach. Tay Bridge station and its approaches were built on reclaimed yard. The station is close to the sea in the south of Dundee, just to the south west of the city centre. Across the A85 and to the east of the station is the RRS Discovery alongside the River Tay. Beyond the Discovery is the new V&A Dundee Museum.